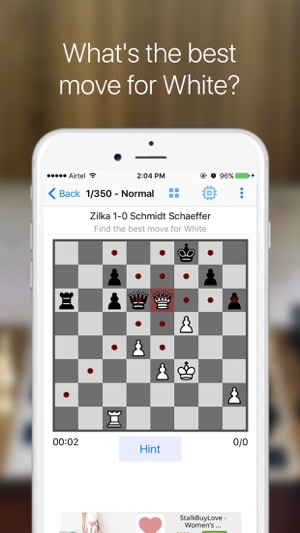 ******* The popular Chess app is now on iOS! - Load your own PGN puzzle file by saving the PGN to the iChess Documents folder (via Mac/PC). Games in Chessbase CBH format not supported. You can also practice openings or study famous games. Simply load a full PGN of games and make the best move. 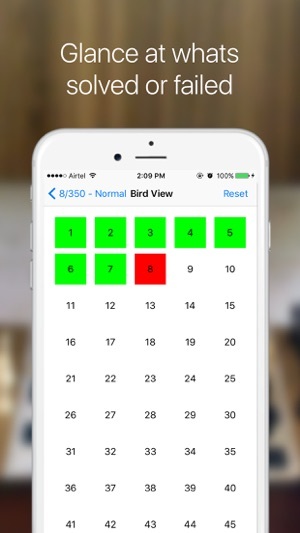 - Bird View feature to view Solved/Failed and unseen puzzles. Enjoy solving puzzles from games of World Champ Anand, Magnus Carlsen, Kramnik, Aronian, Nakamura, Gelfand, Radjabov, Polgar and others. Stay up to date with puzzles from games played in Tata Steel, London Chess Classic, Chess Olympiad, World Championship, European Teams, Candidates, Alekhine mem etc. Both are excellent at helping study tactics for improvement! 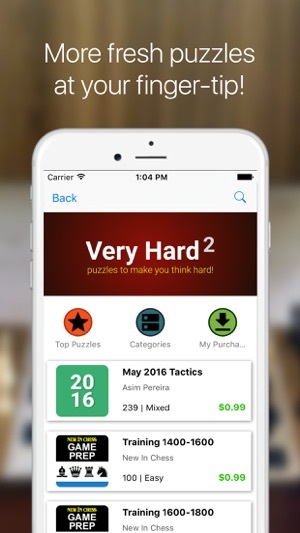 Both allow you to purchase more puzzles but iChess leads by a huge margin. The interfaces are simple and attractive, Chess Tactics more so. 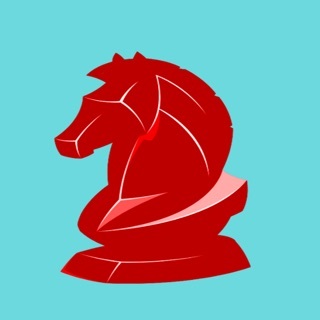 To continue game play after a puzzle is finished, Chess Tactics has a built in chess engine of modest strength and iChess integrates with the free “Analyze This” app using the powerhouse Stockfish 8 chess engine. It is accessed with a simple click on a screen icon. 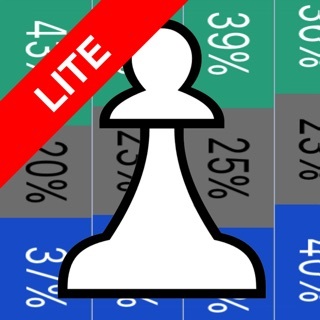 Analyze This is a powerful, feature-rich chess app and provides depth analysis for up to 10 lines play and allows variations. Using Analyze This has tremendous value. 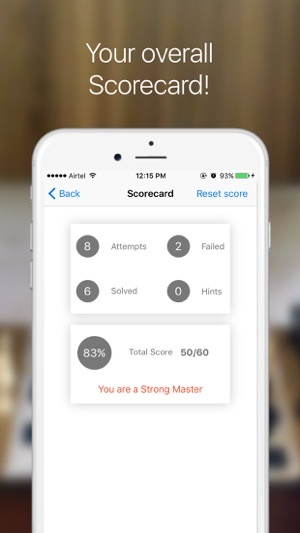 Both track your progress with Chess Tactics providing a FIDE rating “guess”. Unplayed puzzles - Chess Tactics shows small game boards with the puzzles’ number and a check mark if played versus iChess displaying a large table of numbers (marked green if played). Both have reset buttons available. I use both, BUT tend to use iChess much more because - 1) it has more specialized puzzles, 2) Analyze This can be used for analysis and is so easy to access, and 3) iChess starts you with a huge number of puzzles. I'm not an experienced enough chess player to say whether or not the puzzle solutions are the best of all possible moves, but they seem solid to me. I like the puzzles because they are from all stages of the game, not just endgames. The thing I struggle with the most is recognizing the best moves in early/mid games (especially at the transition between the two) - this app is a fun learning tool. Works well. I like choosing the level (normal to harder). 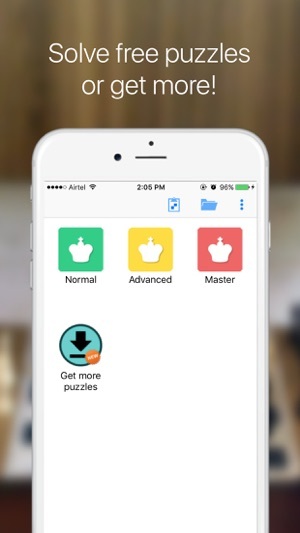 Excellent integration with Analyze This app, which helps to understand puzzles. I’d like to review puzzles I missed, but that information is not available. Maybe color the puzzle number with red instead of green for missed puzzles in Bird View? The numerical score isn’t very useful. Maybe give an estimated ELO number instead? I think lichess does that.